Oak Island is a dream for buried-treasure hunters, tantalizing them with links to 14th-century explorers, 17th-century gold coins and mysterious coded messages. For nearly 200 years, the island has drawn treasure-seekers. All of this is pertinent to the world of heavy machinery because, in the show's third season, the brothers decided they needed some big machines to get to the bottom of the mystery. That's when Caterpillar construction equipment rumbled on stage. 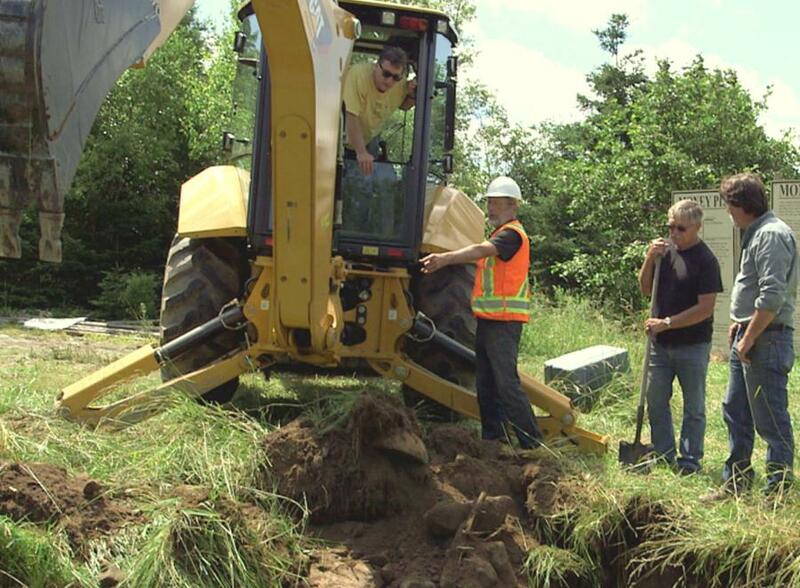 “Rick and Marty and their team knew they wanted to get a large excavator and bulldozer,” said Joe Lessard, senior vice president of development and production for Prometheus Entertainment, which produces the show, “and Atlantic Cat was just an hour from the island.” So it was serendipity as much as anything that led the Laginas to Caterpillar, rather than to another heavy equipment manufacturer. The specific dealership was Atlantic Tractors and Equipment in Dartmouth, Nova Scotia, 60 kilometers from the island and part of the Hewitt Group of equipment outlets. 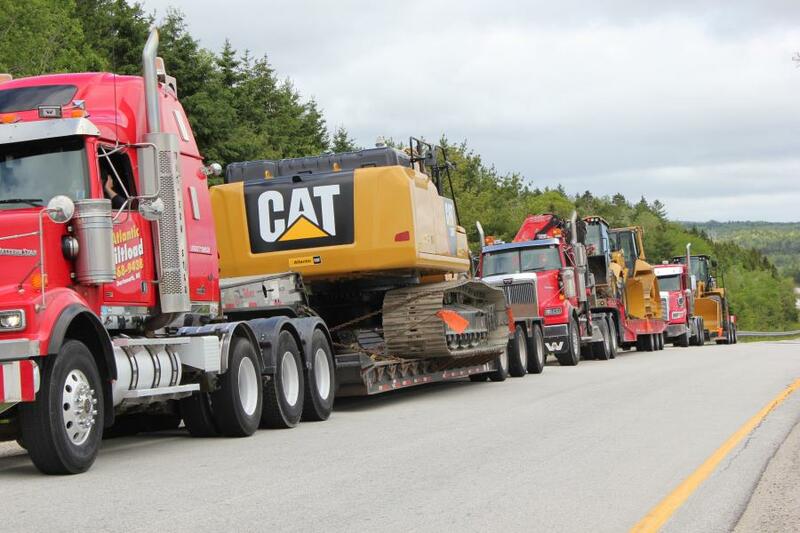 Atlantic was the Caterpillar dealer for New Brunswick, Nova Scotia and Prince Edward Island until last August when the dealership changed hands. Ontario-based Toromont Industries bought the privately owned Hewitt Group. The Dartmouth dealership is now a Toromont Caterpillar Martimes branch. Toromont's vice president of heavy equipment sales, Scott Ferguson, said proximity of the dealership to the island wasn't the only incentive for the Lagina brothers. “They love the Cat brand,” Ferguson said, “and we had the right equipment to execute their plans.” He added that the brothers' choice probably was helped by Toromont being the largest heavy equipment dealer in the region. The call came to the dealership after the Laginas got serious about moving dirt. They hoped the excavation would be the culmination of a virtually life-long fascination with Oak Island that began in 1965 when Rick Lagina read an article about the island in Reader's Digest magazine. His abiding interest in what might be hidden on the island stayed with him right on through his career as a U.S. Postal Service employee. Ten years ago, Rick, his brother and some partners put their money where their dreams were and bought up much of the island. This commitment — which regular History Channel viewers might mistake for obsession — is still evident in the fifth season of the show. Week after week, the brothers methodically pursue their dream, sometimes with the help of big yellow iron. Purchased outright, the Cat equipment ranges in price from $150,000 to $400,000. Without any assurances of actually finding gold or other valuable artifacts, the brothers naturally were not interested in owning the equipment. Marty Lagina sat in the cab of a Cat 336E hydraulic excavator and demonstrated his familiarity with the controls. “This is fabulous. 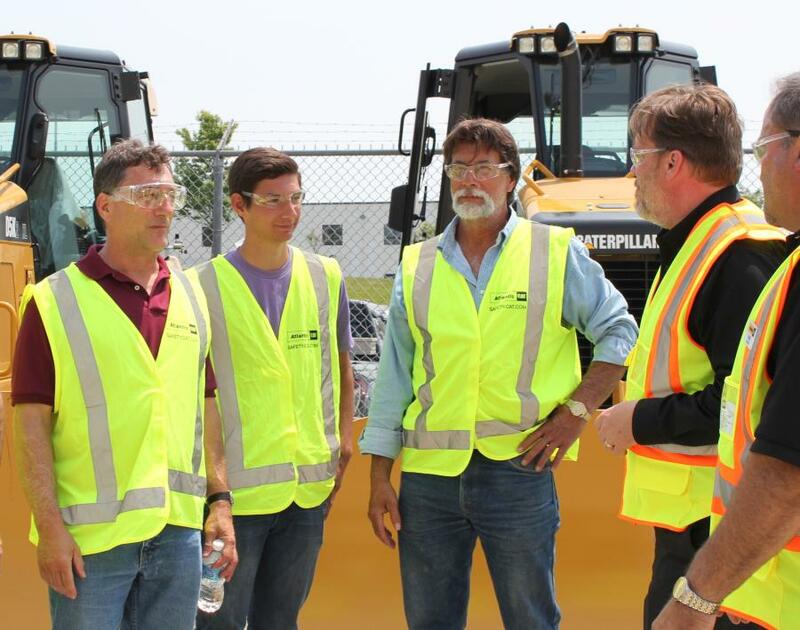 It will do everything we need to do and probably more.” Subsequent scenes in which the brothers are shown operating the equipment were only slightly deceptive: They actually received some operator training off-camera at the dealership and again when the machinery was delivered to Oak Island. At the end of their visit, the island group signed up for delivery of the 40-ton 336E excavator, a D5K dozer, and a 420F backhoe. The investment was the beginning of a parade of Caterpillar machinery onto the island. In subsequent seasons of the show, the dealership has provided a model 323 excavator, an 18-ton D6N dozer, a 200-hp, nine-ton 950 wheel loader and a 13-ton CS56 vibratory compactor, as well as auxiliary equipment, like generators. Such heavy equipment might seem to be overkill for uncovering buried treasure, a relatively delicate operation, but big equipment has rumbled around the island for decades, including well drilling rigs and tracked earth-movers. More than a half century ago, a California developer notably tore into Oak Island. “Tore” is the right verb, because the dozers and 70-ton digging cranes he employed ripped apart whole sections of the island, defacing it for subsequent explorers. All, incidentally, to no avail. 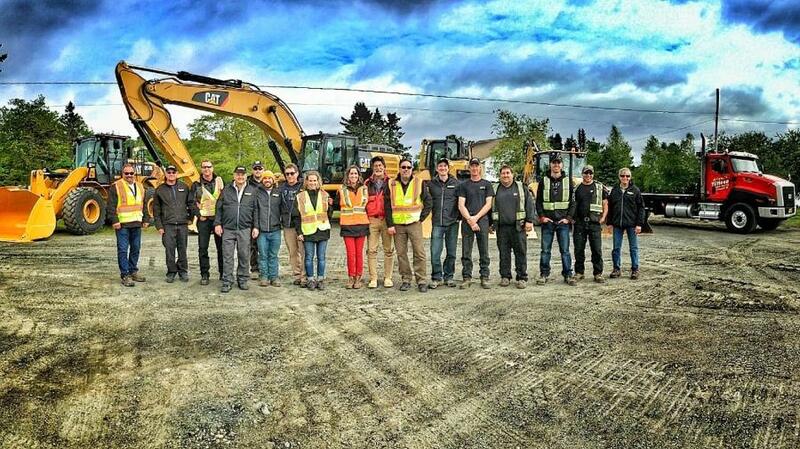 The first delivery of Caterpillar equipment to the island was well-covered by the show's producers. An inflight drone camera lens looked down as a Cat CT660 truck with a low-boy trailer carried the hydraulic excavator across the 50-year-old causeway that connects the island to the mainland. That truck led a procession of Cat flatbed trucks hauling the other pieces of equipment. The trucks were provided to the dealership by some customers. When the excavator and other machines arrived on the island, the Laginas and regular “cast members,” including Dan Blankenship, a 92-year-old resident of the island who has been searching for the treasure for half his life, watched the trucks roll to a stop. “That looks like capable equipment right there,” Marty Lagina said at the sight of the heavy machinery. Ferguson, Harlow and other Toromont personnel were there, too, chaperoning the island delivery. After greetings were exchanged, the equipment was off-loaded and viewers watched the equipment driven away toward an identified dig area. Rick Lagina was at the controls of the dozer and his brother was in the excavator. A GoPro captured Marty Lagina nonchalantly sitting in the excavator cab with his hands in his lap as the machine crept along the road. Initial work included significant excavation of a suspected treasure site. In the videoed coverage of the dig, Marty Lagina is at the controls of the 336E and adroitly carves out a hole 12-15 ft. deep and nearly as wide. A boom-mounted GoPro gives viewers a closeup of the teeth of the 3-cu.-yd. bucket chewing into the soil. “This is hard, hard, hard digging,” Lagina comments, drawing an off-camera comment about how lucky they were not to be digging by hand. Unfortunately, the hole began to seep water in pretty short order and had to be abandoned. After the machines were driven to another site, more digging ensued, first with the 420F backhoe and then the excavator. The second hole was more fruitful: It exposed timber from a previous exploration and was deemed a significant discovery. Because any treasure at that location was apt to be buried deep below where the equipment can reach, the machines were parked for a while. The island exploration, by the way, is mostly a summer-time activity. Nova Scotia is a Canadian maritimes province, so average high temperatures June through September are in the 60s and 70s. January temperatures are in the 20s. You won't find scenes of the Laginas in heavy coats standing around a fire barrel. The casual but earnest nature of the hunters probably connects them to their anonymous viewers. After all, this is not your everyday construction job. Equipment doesn't seem to break down. There are few hardhats in evidence. Everyone is dressed like they are heading for the convenience store instead of slogging through a work day. Chit-chat is notably devoid of profanity. In short, lots of people can identify with what they're watching. Most customers don't have a cameras on them, of course. “It certainly was a unique experience having a camera crew follow us around while we were working. That's not something we see every day,” Ferguson said. He added that for the most part, the camera work was non-intrusive though taping of some scenes was repeated when audio pickup was weak. The rewards for Toromont seem worth the trouble. 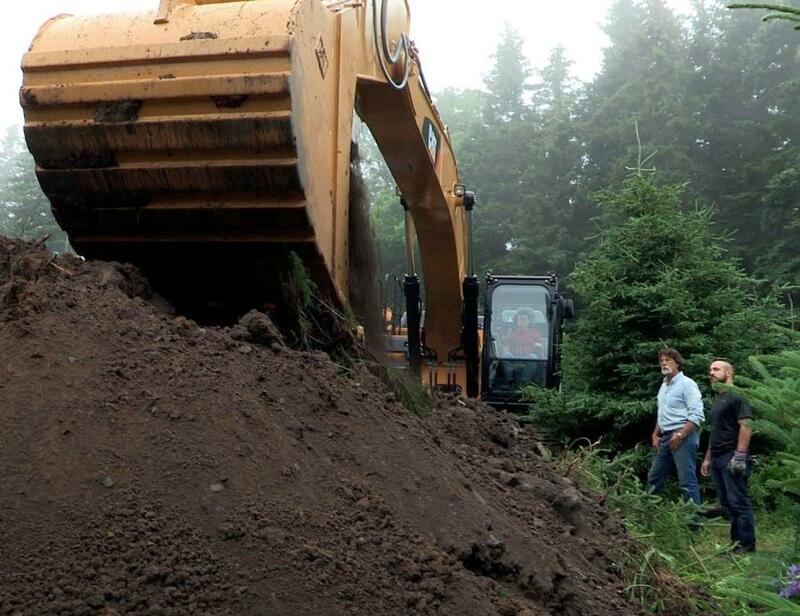 While sales directly resulting from the Oak Island connection are difficult to identify, exposure of the Caterpillar brand on TV has resulted in lots of new activity in social media, according to Ferguson. And there are residual benefits.